Most of us today probably associate February 2 with Groundhog Day. 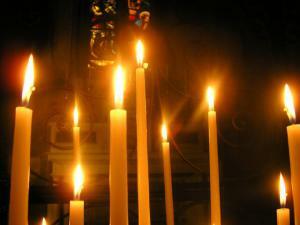 But the date is also associated with the ancient holiday of Candlemas, marking the purification of the Virgin Mary. For some, Candlemas also marks the true end of the Christmas holidays, when the Christmas decorations and greenery would be taken down and plants more appropriate to the season set in their place. So those of us who left our Christmas trees up late this year? Can rest easy in the knowledge that we’re in good company! The greener box (for show).